2015 marked the end, at least for now, of the California High School Exit Exam, the ambitious initiative created to ensure every student graduated high school with basic skills in math and English. Gov. Jerry Brown signed into law measures to suspend the exam for at least three years, and award diplomas retroactively to students who failed the test but met every other graduation requirement. 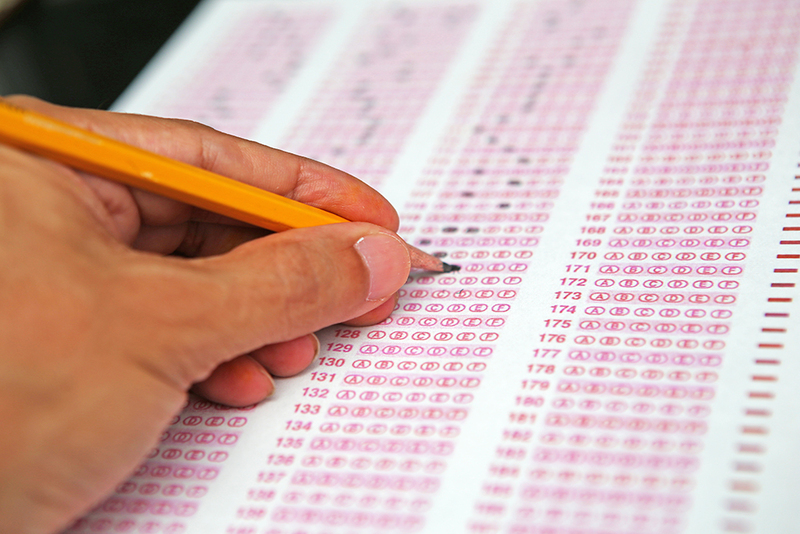 Nearly 5 million students have taken the test since it debuted in 2001. It became a requirement for graduation starting with the class of 2006. Supporters of the test said it raised the bar for graduation by encouraging students to work harder and pressured schools to increase their efforts to close the achievement gap. Opponents argued that the test has discouraged some low-achieving students from staying in school and that it disproportionately punished low-income children and English learners who were unable to pass the test. Based on EdSource articles and commentaries, the following storyline tracks the debates and legislative actions that have occurred since 2013. "The future of CAHSEE remains unclear; it’s an ongoing discussion during this time of transition." In overhauling the state assessment system last year, officials postponed a decision about the exit exam, which students need to pass in order to receive a high school diploma. Most other tests are on temporary hiatus while students take a practice test aligned to Common Core. The voluntary standards, adopted by California and 42 other states, set common requirements for what students should know in math and English. But the exit exam – aligned to the old state standards – remains in place as a requirement for graduating seniors. The latest results of the California High School Exit Exam echoed a similar refrain from past years, with the number of seniors passing the test holding steady year-over-year but showing gains in the number of students who pass in their sophomore year. About 95.5 percent of the class of 2014 passed the exit exam, matching the record-high passage rate set by the class of 2013, according to preliminary results released by the California Department of Education. 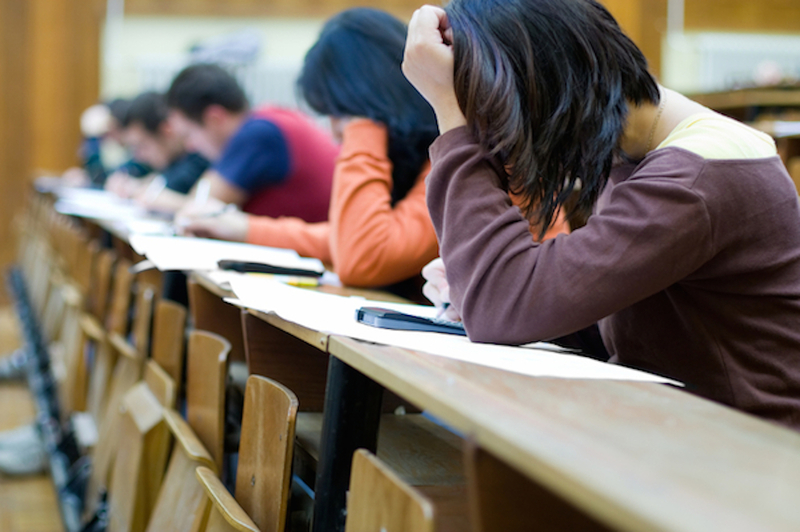 The California High School Exit Exam would be suspended for several years and its role would be re-examined under a bill introduced last week by the chair of the Senate Education Committee. Senate Bill 172 by Carol Liu, D-La Cañada-Flintridge, calls for suspending the test in the 2016-17, 2017-18 and 2018-19 school years and eliminating it as a graduation requirement during that time. In the interim, the state Superintendent of Schools would be required to convene an advisory panel to study whether to continue the exit exam, and if not, what should replace it. Students in the class of 2015 who haven’t passed the California High School Exit Exam may be able to graduate soon, based on action planned this week in the Legislature. In response to media coverage about students left with no recourse after the California Department of Education abruptly canceled the July administration of the test, legislators acted swiftly to find a quick fix when they came to work Monday after their summer break. They earmarked SB 725 by Sen. Loni Hancock, D­-Oakland, dealing with visual and performing arts education, for “gut­-and­-amend” action on Wednesday that will replace language in the original bill with new wording exempting the students from the requirement to pass the exam to receive a diploma. An urgency clause will be added and the bill is expected to go to the full Assembly for a vote on Thursday, said David Rolland, spokesman for Assembly Speaker Toni Atkins, D­-San Diego. The state Assembly Appropriations Committee on Wednesday unanimously approved SB 725, which would eliminate the requirement for class of 2015 seniors to pass the California High School Exit Exam. Some seniors who were planning to take the exam in July are in limbo after the California Department of Education abruptly cancelled it. The bill, which originally called for the development of new visual and performing arts content standards, this week was gutted and amended by its author, Sen. Loni Hancock, D-Oakland. The action will replace language in the original bill with new wording exempting the students from the requirement to pass the exam to receive a diploma. The state Assembly on Thursday approved a bill that would exempt seniors in the class of 2015 from the requirement to pass the California High School Exit Exam to graduate. In a 77­-1 vote, Assembly members showed overwhelming support for SB 725, by Sen. Loni Hancock, D­-Oakland, which proposes to waive the requirement for the class of 2015 to pass the exam to receive diplomas. The governor signed a bill that eliminates the California High School Exit Exam graduation requirement for seniors in the class of 2015 who didn’t pass it. "I still believe we need to ensure that all of our students graduate high school with the skills and knowledge they need to be successful. Whether or not an exit exam should be part of our evolving assessment and accountability systems is worthy of debate." State lawmakers have added an amendment to a proposed bill that could allow school districts to retroactively award diplomas to students even if they failed the California High School Exit Exam. The assembly Appropriation’s Committee added a provision to Senate Bill 172 that would grant districts waivers to award diplomas to students as far back as 2006, when the exit exam became a requirement for graduation. 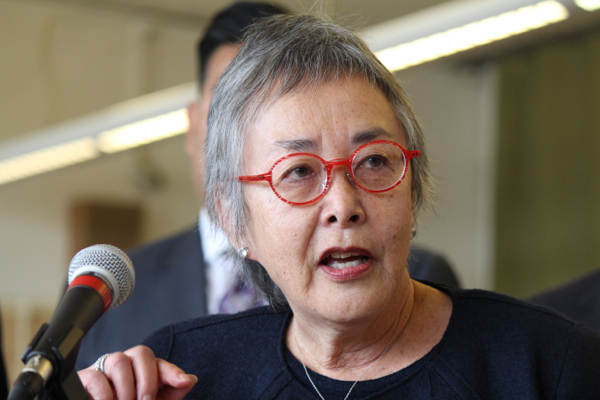 The provision would only affect students who met all other graduation requirements but could not pass the exit exam, said Robert Oakes, spokesman for Sen. Carol Liu, D-La Cañada-Flintridge, author of SB 172. Here are some frequently asked questions about the exam’s status and how it could affect former and current students. EdSource followed Telesis Radford and her husband, Adam Lance, through a typical afternoon as she studied for her GED. We asked how the last decade might have been different for her if she had passed the CAHSEE. "California’s education system is transforming in positive ways. Replacing the high school exit exam with more modern and meaningful measures is a critical part of that work."